Earlier in 2018, Initiatives of Change USA engaged Lisa Sharon Harper of Freedom Road to develop a series of engagements called Faith Rooted Organizing. Harper is former chief church engagement officer of Sojourners in Washington, D.C. as well as a writer, speaker and community organizer. She founded Freedom Road in 2017, a diverse team of leading experts, advocates and trainers who work with faith communities, nonprofits, academic institutions and the business sector to identify core issues, build capacity and develop storytelling practices focused on justice. 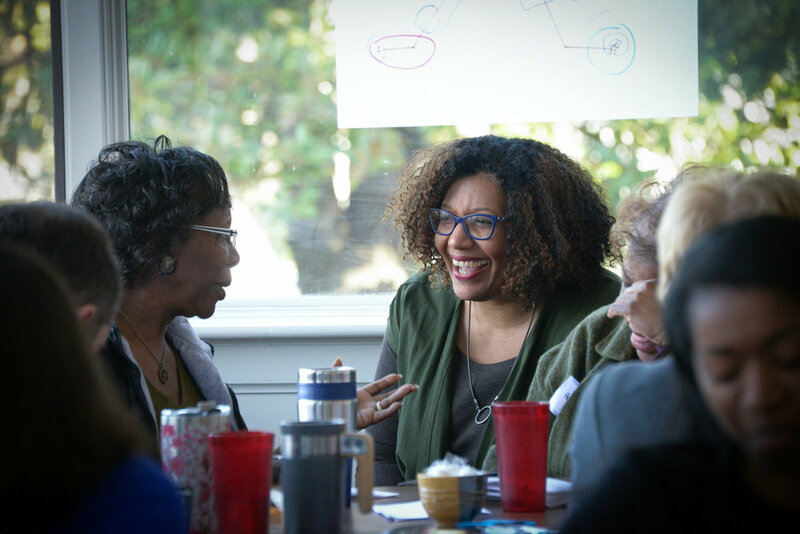 The first event for faith based community leaders, clergy and lay leadership took place in January, a second event was held March 20-22, a third summit happened June 19-21, and a webinar occurred in August. Gaining an appreciation of the benefits, heritage, and distinct current-day contributions of faith rooted organizing approaches to the larger justice movement. Exploring how faith rooted goal setting can function as a bridge-building tool between disparate (and adversarial) groups within a community, state, or nation. Understanding how our analysis can be impacted when we examine the issues through a faith lens. Exploring faith rooted dynamics of power and how power can shift. Reflecting on our engagement processes, exploring motivations for justice engagement and the power of public narratives. Exploring faith rooted principles of leadership development and acquiring tools for strengths and gift assessment. Taking time to reflect, assess health and strengthen faith rooted leadership sustainability by considering how faith traditions nurture souls. Putting personal faith into action while engaging with movements already at work within the community. Also in August, a panel conversation took place, entitled “Going Upstream”, highlighting voices from Richmond’s communities united through justice work. Panel guests included Officer Carol Adams of Community Care for Richmond Police Department, Director Kim Bobo of Virginia Interfaith Center for Public Policy, Nicole Mason (a trauma-informed care specialist with experience at Child Savers), Pastor Mary Gleaton of Faith Covenant Fellowship Church, and Kate St. Germain of Crossover Health Ministries. 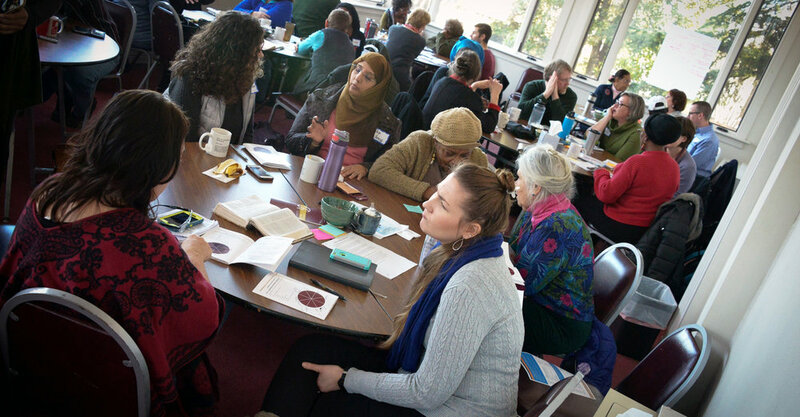 These interventions in Faith Rooted Organizing paved the way towards Faith Rooted Revolution and deeper thinking and building of the capacity of faith based communities within greater Richmond to work jointly to end structural racism and amplify practices in racial equity. Under this initiative, we gather faith based leaders and community influencers to unveil the region’s history in new ways, to build sincere, justice-oriented relationships across social and economic divides and to create inroads to inclusive truth-telling and reconciliation processes. Faith Rooted Revolution is an ongoing series sharing tools and insights to help participants analyze their respective communities, strategize, build collaborative networks, and take action while drawing on their respective faiths and marshaling unique gifts to impact social justice issues and the common good.